Patch clamp methods were used to study the effect of lipopolysaccharide (LPS), an endotoxin produced by gram-negative bacteria, on voltage-dependent outward current of lung pericytes. Pericytes are located in capillary walls and may mediate pathological changes in microvascular hemodynamics and permeability that accompany endotoxin-mediated pulmonary edema. Previous studies have shown that LPS reduces lung pericyte contractility. Lung pericytes exhibited a voltage-dependent outward current, presumed to be K+ current, and this current increased in magnitude in response to LPS. Cells incubated for 48 hr without LPS (control) had an average peak current at 50 mV of 101 pA (n = 5 cells), whereas cells incubated with 100 mg/ml LPS had an average peak current of 927 pA (n = 9 cells, P<0.01 compared to control). When held at 50 mV for 50 msec, net outward current decreased in control cells by 10.7% and in LPS-treated cells by 2.6% (P<0.05). 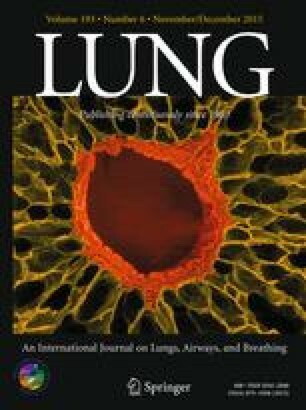 The increased activation of outward current in LPS-treated cells may be due to a previously inactive potassium channel and may mediate LPS-induced relaxation of the lung pericyte.